Kurt Vonnegut’s advice about the arts. That should prove to be very interesting. 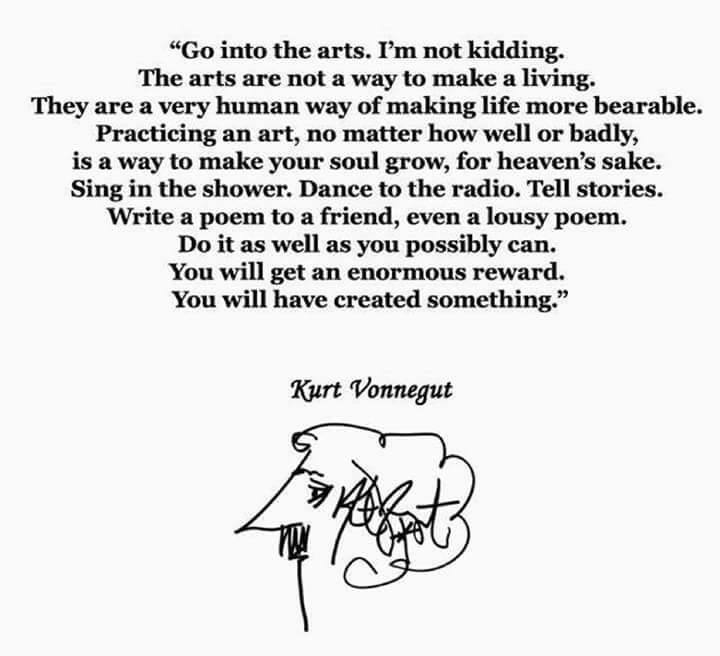 Kurt Vonnegut had some wise words to share about “the Arts.” Good ol’ Kurt. I’ll be sure to post when the episode airs. There will be lots to talk about! This entry was posted in #Art Therapy TV, #The Arts, #VanCityBuzz, #Vancouver television, Blog, gigs, Live, thought for today and tagged #Kurt Vonnegut, #Peaceweaver, #shaw channel 4 Television. Bookmark the permalink. ← 1st Year Anniversary Café Ça Va & Thanksgiving Bash!